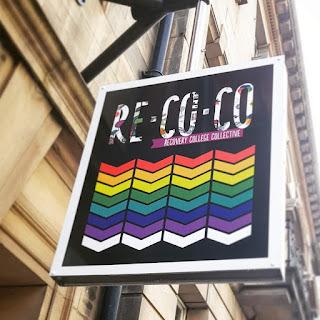 I first heard about ReCoCo through folk I’ve met volunteering with Time to Change. 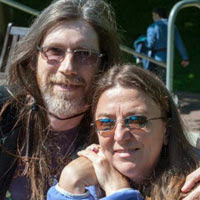 I was intrigued and checked their website out a couple of times but hadn’t taken it any further until this July when my friend Vikki Beat invited me to attend the end of term party. The event also marked the college’s relocation from Broadacre House to its new home just down the road in Anderson House. I didn’t know many people at the party but I felt very welcome. I even had a dance! I remember thinking it would be great to work more closely with the college in some way but I couldn’t see how that might work as sessions are held during the week and I am in full time employment. The college closed over the summer but I was keen to check out the autumn prospectus as soon as it came out. For the past six months I’ve been working with a fantastic group of people where I work in BPDTS to promote mental health awareness and support within the company. I immediately saw how some of ReCoCo’s courses were relevant both to me personally and to our workplace initiatives. After discussing with my manager I phoned the college to make an appointment. 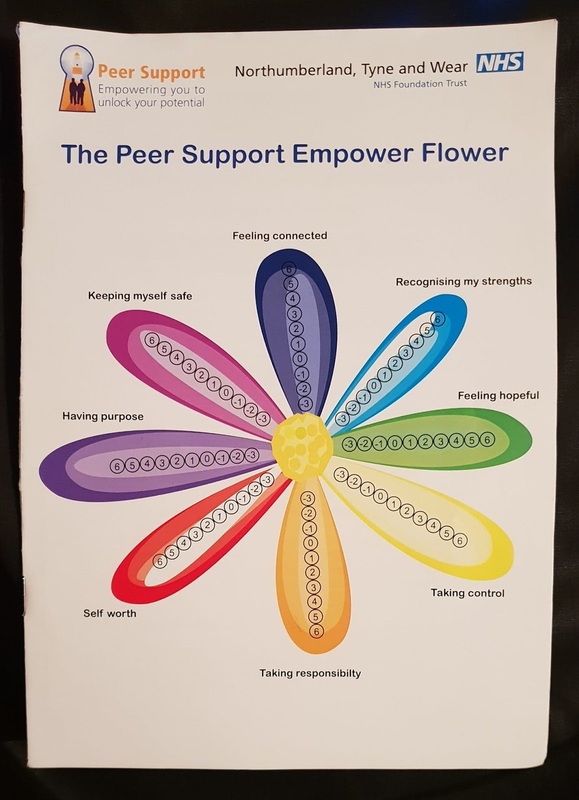 I found the exercise fascinating and (gently) challenging as I was encouraged to explore how I was currently feeling in eight categories: Feeling Connected, Recognising My Strengths, Feeling Hopeful, Taking Control, Taking Responsibility, Self Worth, Having Purpose, and Keeping Myself Safe. I will repeat the exercise in a few months’ time. I left feeling very proud to be a student for the first time in many years! I had a great time at Newcastle Recovery College on Wednesday. I enrolled for the courses I want to do (a short session on self-harm next week, and then the Wellness Recovery Action Plan awareness course next month). A friend invited me to stay into the afternoon for the weekly drop in session. The difference the college makes – that the staff and volunteers and students make – to the lives of the people who attend is simply staggering. The kind of staggering that makes you question what you are doing with your life. Which is where you come in, of course – to help me find a way to do more of that here at BPDTS! I asked Vikki, who is a volunteer and course facilitator at ReCoCo as well as being a student, if she would share what the Recovery College means to her. I started coming to the Recovery College three years ago. At the time I was experiencing stigma first hand through my career within the NHS. Three years on and I am now a volunteer for ReCoCo and facilitate my own course. Watching nervous and anxious individuals come into the college and blossom into the confident people they become is awe-inspiring. 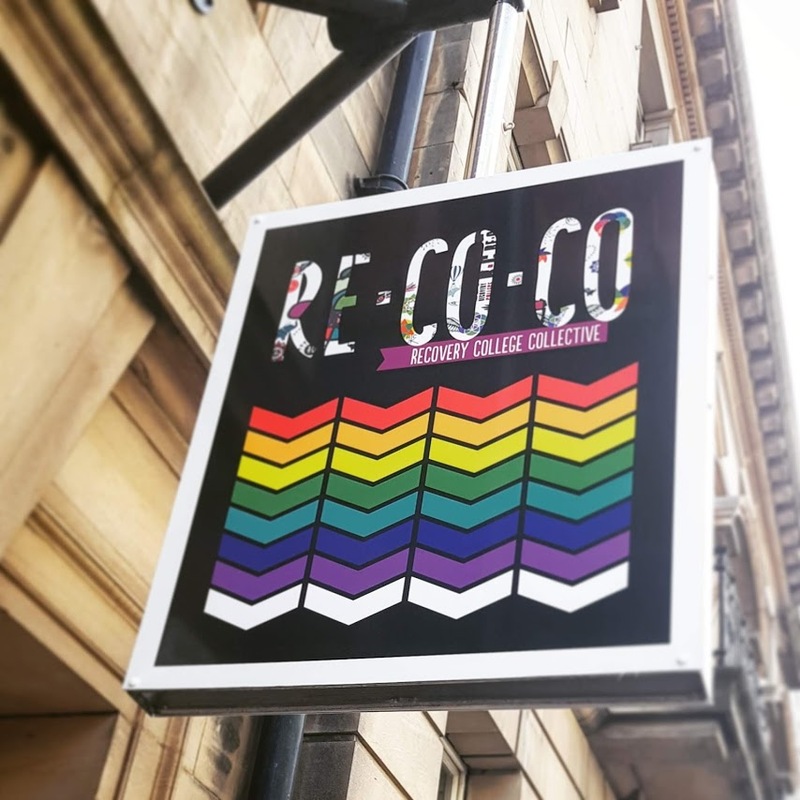 We all struggle at times, but ReCoCo is a safe place to come and support each other. I’d like to thank all the staff and volunteers for being my solid rock. I look forward to attending the first of the sessions I have enrolled for later this week. You can find out more about the Newcastle Recovery College on their website and on Twitter.